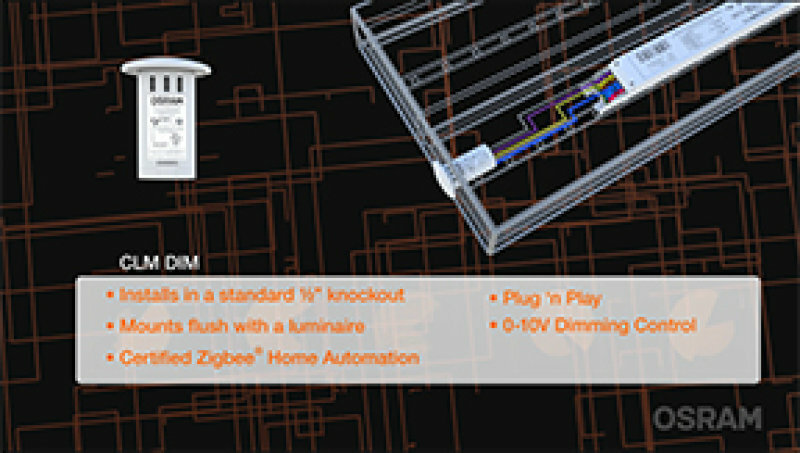 The Connected Lighting Module (CLM) enables luminaires to be connected to a Light Management System (LMS) that are based on ZigBee® communication protocols. Individually addressable, the CLM allows each luminaire to be independently controlled and configured to best meet the needs of the facility. 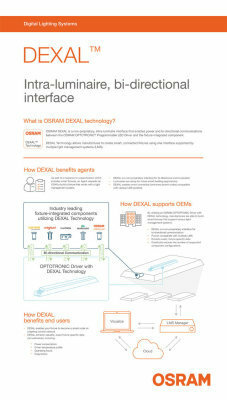 DEXAL Technology (Data Exchange for Advanced Lighting), is a bi-directional, digital dimming interface between the LED driver and fixture peripherals. It combines low-power delivery to fixture peripherals and communication capability on a single secure digital bus. 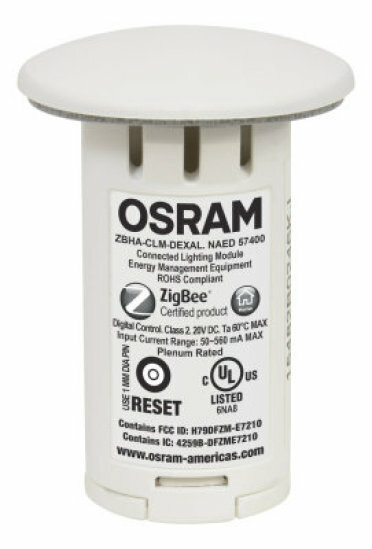 The CLM DEXAL is a fixture-integrated component that is capable of interfacing with OPTOTRONIC® LED drivers that provide crucial performance data from within the luminaire.